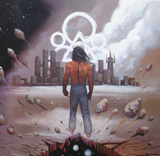 Ken Kelly paints Coheed and Cambria's latest album artwork! 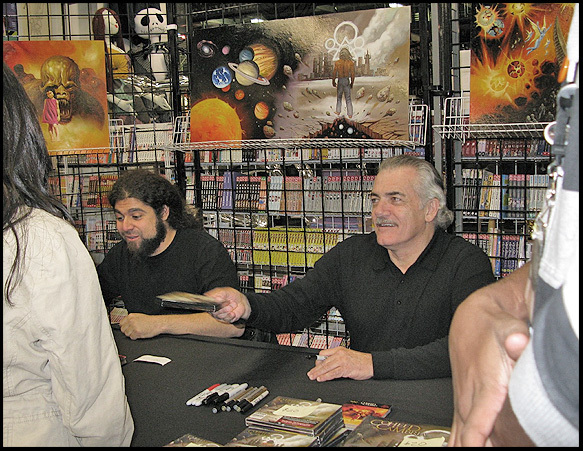 "It would be hard to find a band with grander artistic scope than Coheed and Cambria. Over the course of six years and four groundbreaking albums, the New York foursome (Claudio Sanchez – vocals, guitar; Travis Stever – guitar; Michael Todd – bass; Chris Pennie – drums) has diligently developed a unique sound combining forward-thinking classic rock with strong pop sensibilities and intricate musicianship. 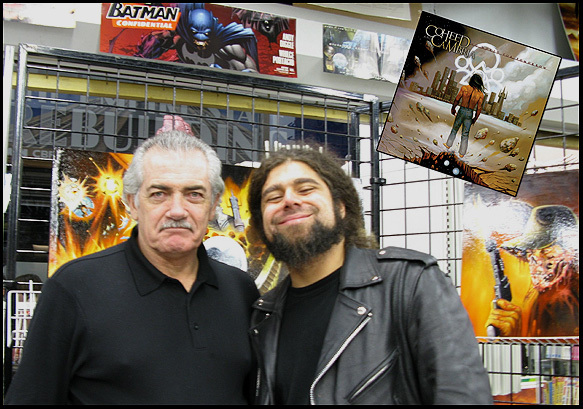 Simultaneously, through his lyrics and comics, Sanchez has created a celebrated epic alternate universe called The Amory Wars, in which lies an ongoing conceptual tale that gains depth and complexity with each and every record. With the band's latest creation, the euphoric No World For Tomorrow, we arrive at the final chapter in the saga of Claudio Kilgannon, the story's main character, who is out to avenge the death of his parents (Coheed and Cambria Kilgannon). While the story is set to reach its destructive end with NWFT, the band reveals their next album will be a prequel to the saga.